The Institute of American Indian Arts has played a key role in the direction and shape of Native expression for over 50 years. The IAIA Low Residency MFA in Creative Writing, now in its sixth year, is expanding on this legacy, graduating successful writers who are making distinct contributions to the body of Native American and world literatures. This third issue of the IAIA MFA Quarterly, to be published four times a year, highlights the publications and writing-related news from our MFA community. Read more to find out how the IAIA MFA students and alumni are transforming the literary landscape. The MFA Quarterly Journal is published October 15, January 15, April 15, and July 15 of every year. Students, alumni, and faculty mentors: please send any news, photos, links, or updates to mfa@iaia.edu. Several IAIA MFA students, as well as Mentors and alumni of the program, were featured on NPR’s To the Best of Our Knowledge Podcast in January. Listen to the full podcast and view the articles. The mini graphic novel, Nizhoni Girls, about the Nizhoni Girls punk rock band, written by MFA alum Jason Asenap (’17), and illustrated by Shaun Beyale BFA (’14), was featured in High Country News on Feb 4, 2019. Chee Brossy’s (’16) story, “A Good One,” will be published in Kenyon Review Online in April/May 2019. Jamie Figueroa (’15) has sold her novel, Brother, Sister, Mother, Explorer to Catapult, to be published in 2021. 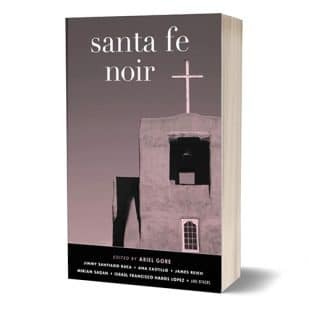 Elizabeth Lee (’16), Byron Aspaas (’15), and Barbara Robidoux (’17) all have short stories anthologized in the upcoming (2020) collection of short stories, Santa Fe Noir, from Akashic Press. Scholarship/awards or recognitions: Recipient of the New Poets of Native Nations Women’s Scholarship to attend Northwoods Writers Conference, June 2019. This generous scholarship is funded by donation of royalties from sales of New Poets of Native Nations edited by Heid E. Erdrich and published by Graywolf Press. Ruby is also the recipient of a fellowship to attend the Writing Studio with Eden Robinson, Banff Centre, Banff Canada, April 28–June 2. Tim Carrier (’15) has new poems out in the last year in Reservoir, Cordite Poetry Review, Heavy Feather Review, Hinchas de Poesía, The Collagist, Deluge,wildness; in the current print issue of Poetry Northwest; and coming soon in West Branch and Cosmonauts Avenue. Lemanuel (Manny) Loley (’18) has been accepted in the PhD in English and Literary Arts at the University of Denver, to begin in Fall 2019. Manny Loley is also planning the 3rd Emerging Dine’ Writers’ Institute this July in Crownpoint, NM with NTU. For more information, please email Manny at his NTU email address lloley@navajotech.edu. On Faculty will be IAIA MFA Alumni Byron Aspaas (’15) and Jake Skeets (’18). “Remembering the Worlds Our Ancestors Traveled: Cultural Continuance and the Power of Words in Contemporary Diné Writing”: A craft presentation by Manny Loley. 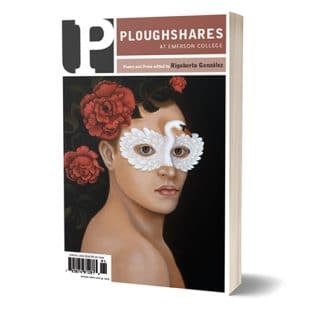 Jake Skeets (’18) is publishing his poem, “In the Fields,” in the Spring 2019 issue of Ploughshares, guest edited by Rigoberto Gonzalez. Poems by MFA Mentor, Sherwin Bitsui, will also appear in the Spring 2019 issue. MFA alum Lauren Monroe Jr. (’18) has been selected as a Sundance Institute Fellow. Lauren is currently producing his first film, Kills Last, a post-apocolyptic thriller based on traditional coup stories and told in the Blackfeet language. Erin Singer (’18) is a winner of the 2019 PEN America Robert J. Dau Short Story Prize for Emerging Writers for her story, “Bad Northern Women,” which was originally published in Conjunctions. Dennis Staples (’18) sold his novel, This Town Sleeps, to Counterpoint Press, scheduled for publication in March of 2020. In April, “The One You Feed,” a dark fantasy story heavily influenced by the Missing & Murdered Indigenous Women coalition & the conversations around it will be published in Nightmare Magazine. Angela C. Trudell Vasquez (’17) and Millie Kingbird (’16) are the guest editors for the Spring 2019 issue of Yellow Medicine Review (YMR). Angela C. Trudell Vasquez (’17), whose debut poetry chapbook, In Light, Always Light, is forthcoming in May 2019 from Finishing Line Press, publishes “My People Redux” in the forthcoming RED INK: An International Journal of Indigenous Literature, Arts & Humanities, and “Fragments in Time” in the Taos Journal of International Poetry and Art. Arianne True (’18) was an invited fellow at Hedgebrook last fall and for April and May is back in a teaching artist residency with Writers in the Schools. This February, Arianne designed a mixed media poetry/audio installation in Olympia, WA as part of yehaw, a year of indigenous arts and programming in the Pacific Northwest, and part of that installation is now on view at King Street Station in Seattle with the main yehaw exhibition. The exhibition will be up from now through August 3rd and features 200+ Native creatives; more information at yehawshow.com. Arianne also has work appearing in a zine edited by Sara Marie Ortiz as part of yehaw. David Heska Wanbli Weiden (’18), who has also won fellowships at MacDowell Colony and from PEN/American Writing for Justice, has sold his novel Winter Counts, as well as the second book in the series, Wounded Horse, to Ecco/Harper Collins. David has published or has work forthcoming in Shenandoah, Yellow Medicine Review, Transmotion, Criminal Class Review, Tribal College Journal, and other magazines. His children’s book, Spotted Tail, will be released in 2019. David is the fiction editor for Anomaly, journal of international literature and arts (www.anmly.org) and he teaches writing at the Lighthouse Writers Workshop in Denver. Joaquin Zihuatanejo (’17) performed at the Len Roberts Poetry Day at Northampton Community College on Thursday, April 4. 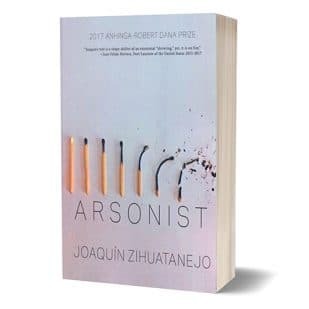 Read an article and interview with Joaquin, World Slam Champion and author of the prize-winning poetry collection, Arsonist. Lauren Arthur published 5 poems in the 45th Issue of Talking River Fall 2018. Visit Talking River or their Facebook page. She is publishing 3 additional poems in the Nez Perce Women’s Writer’s Institute anthology this spring. Chelsea Bryan has been signed on by Jin Auh of The Wylie Agency for her novel. Elee Kraljii Gardiner participated in Trauma and Transformation: A Cross-Border Conversation with Paisley Rekdal, Elee Kraljii Gardiner and Rachael Allen. In this series, France-based poet Rachel Rose brings together poets in different parts of the world to discuss their writing, their inspirations and the context in which they work. Zoë Johnson’s short story, “Inherited Love of Unexplainable Things” was Runner Up in PULP Literature’s Bumblebee Flash Fiction Contest and will be published in the upcoming issue of PULP. Zoë also has a forthcoming flash prose publication, entitled “Sticky,” coming out from Sonora Review Online. “Sticky” made it to the final round of judging in the Sonora Review’s most recent flash prose contest. Jacquie Lewis had an article, “Staying the Course for Veganism: Tips for Sailing Through the Cultural Tide” published in the March 2019 issue of New Mexico Vegan Magazine. Chandre Szafran has been awarded a fellowship to the Northwoods Writers Conference this summer. Amy White (’19) has been awarded a fellowship to the Banff Centre for the Arts Residency this May 2019. Blue Tarpalachee (’19) has been accepted into the PhD program at University of Oklahoma, to begin Fall 2019. In addition to the AWP Conference, the IAIA MFA program was sponsoring exhibitor at the Desert Night, Rising Stars Literary Festival at Arizona State University, Tempe, Feb 22–24. The festival hosted a reading of IAIA MFA students/alumni Jake Skeets (’18), Joaquin Zihuatenejo (’17), Manny Loley (’18), and Doug Bootes (’19). Several MFA Students read for National Poetry Month in Taos: Max Early, Carey Powers, Doug Bootes, and Vivian Carroll read for the Poetry & Art Walk, a collaboration between Society for the Muse of the Southwest (SOMOS), Institute of American Indian Arts, Taos Arts Council, and Taos galleries on Saturday April 6. Eric Davis (’18), MFA alum and IAIA’s Marketing and Communications Director, published a feature article in Tribal College Journal about two of our MFA alums, Tommy Orange and Terese Mailhot. Ramona Ausubel’s short story collection, Awayland, made The Story Prize longlist for Short Story Collections published in 2018. Awayland is also a finalist for the Colorado Book Award and the California Book Award. “Vision Confidence Score,” Cutthroat: A Journal of the Arts, 24, March 2019. Three poems in translation in “Keepers of Minerals, Forests, and Waters,” Dialogo Magazine, forthcoming Spring 2019. Five Poems, Undocumented: Great Lakes Poets Laureate on Social Justice, eds. R. A. Riekki & Andrea Scarpino. Michigan State University Press, 2019. “Flights,” Thanku: Poems of Gratitude, edited by Miranda Paul (Minneapolis: Lerner Publishing, 2019). “For a Tattered Planet: Art and Tribal Continuance,” Sustainable Wisdom: Integrating Indigenous Knowhow for Global Flourishing, ed. Darcia Narvaez, et. al. (New York: Peter Lang Publishing, 2019). “Of Nalusachito and the Course of Rivers,” Louis Owens: Writing Land and Legacy, ed. Joe Lockard & A. Robert Lee (Albuquerque: U of New Mexico Press, 2019). Four poems and an essay in Native Voices: Honoring Indigenous Poetry from North America, ed. Dean Rader & CMarie Fuhrman (Tupelo Press, 2019). Two Poems & One Picto-Poem in About Place Journal: Dignity as an Endangered Species in the 21 Century, Pam Uschuk, Cindy Fuhrman, & Maggie Miller, forthcoming May 2019. Three Collaborative Poems (Kimberly Blaeser & Amber Blaeser-Wardzala) in Jet Fuel Review, forthcoming Spring 2019. Haiku in public poetry project The 20 Poems Project in Reedsburg, WI, and inclusion in The 20 Poems Project print publication, forthcoming 2019. Essay: “A Cosmology of Nibi: Picto-Poetics and Palimpsest in Anishinaabeg Watery Geographies,” Geopoetics in Practice, ed. Eric Magrane, Craig Santos Perez, Linda Russo, Sarah de Leeuw (Routledge Research in Culture, Space, and Identity Series, forthcoming 2019). Cherie Dimaline (Georgian Bay Métis) will executive produce and write the first season of the TV adaptation of her novel, The Marrow Thieves. Jennifer Elise Foerster (Muscogee Creek Nation) was a Keynote Presenter at the 2019 Native American Literature Symposium (NALS) March 7–9, as well as a Featured Presenter, along with MFA Mentors Pam Houston and Eden Robinson (Haisla/Heiltsuk), at the 2019 AWP Conference in Portland, March 27–30. Jennifer’s work is included in Native Voices: Honoring Indigenous Poetry from North America, ed. Dean Rader & CMarie Fuhrman (Tupelo Press, 2019). Santee Frazier’s (Cherokee) new book of poetry, AURUM, will be released this Fall from University of Arizona Press. Santee Frazier will begin as the new Director of the MFA in Creative Writing program May 13, 2019. “San Vitalis of Fetishes,” poem. Fourteen Hills literary magazine, Spring 2019. “San Sebastian, Knight of Swords,” and “Sans Justus, The Martyrs,” (poems). New American Writing literary magazine, 2019. “Funny You Don’t Look Like an Essay.” Shapes of Native Nonfiction: Collected Essays by Contemporary Writers, University of Washington Press, Spring 2019. “The Influence of Repetition in Chrystos’s ‘Crazy Grandpa Whispers.’” Essay and three poems, Native Voices Anthology, Tupelo Press, 2019. “Punta del Este Pantoum,” poem. Poems for the Planet: From Inspiration to Action. Copper Canyon Press, April 2019. “Stadium Mocs,” poem. A BODY OF ATHLETICS ANTHOLOGY. Prairie Schooner Press, 2019. 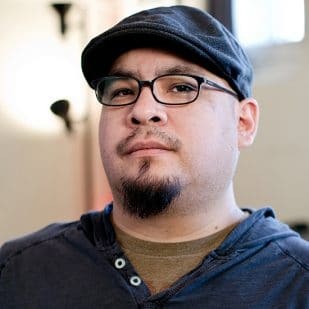 Tommy Orange (Cheyenne/Arapaho) ’16 won the 2019 Pen-Hemingway Award for “Distinguished” new novel. There There was also recognized as one of the 10 Best Books of 2018 by The New York Times. Tommy Orange’s novel is the winner of the John Leonard Prize-National Book Critics Circle Award and was selected as University of Idaho’s 2019–2020 Common Read. Read articles in AP News, New York Times, Vulture, and Spokesman. Terese Marie Mailhot (Seabird Island Band) ’16 is a recipient of a 2019 Whiting Award for Emerging Writers. Her memoir, Heart Berries, has received several accolades including a Spalding Literary Prize for the Promotion of Peace and Justice in Literature and the Electa Quinney Award for Published Stories from the Association for the Study of American Indian Literature. Read articles in Whiting, Spalding MFA, and UNM. Terese has accepted a tenure-track appointment as an Assistant Professor in the Department of English at Purdue University. Simpson, Leanne. Islands of Decolonial Love. Canada, ARP Books, 2015. Mississauga Nishnaabeg activist Leanne Simpson’s 2015 collection, Islands of Decolonial Love, consists of thirty short stories, nine of which are also articulated as musical collaborations available for streaming online. This hyper-textual approach gives an urgent immediacy to the stories and songs and gives the reader a sense of being on the front lines as Simpson confronts her past and the brutality of how that history has treated her people. At times intimate to the point of confessional, the poetic prose refrains from indulging in romanticism or sentimentality. Instead, it provides a stark recounting of a young woman’s life pursuing what she believes to be true. The intentional elimination of capitalization allows past and present to intertwine, as the author seasons her use of the English language with her own Nishnaabemowin, providing translations as footnotes so as not to disrupt the flow of her words. Fierce, fearless and original, the collection adds exponentially to the collective Indigenous voices pushing the envelope of literature in acts of re-appropriation. “The world as we know it is broken,” Barbara Robidoux tells us in The Storm Left No Flowers, a slim chapbook published in 2018 by Finishing Line Press. But there is beauty available to those with the courage to not look away, to follow Robidoux’s steady tread. In this collection dedicated to the poet’s grandson, the natural world and the gifts of spirit lie side by side. Informed by Robidoux’s time in Acadia and the Sangres de Cristo in northwestern New Mexico, where she lives, the poems focus on the destruction of natural habitat and the dangers of a climate gone awry. Its effect is cumulative. Migrant Moon, Robidoux’s previous poetry collection published by Miriam’s Well in 2012, used Japanese forms. In “Abiquiu,” she’s inspired by haibun, a combination of prose and haiku often used to describe nature. She creates seven stanzas in prose paragraphs that end with a tercet, such as “ancient cottonwoods/and the black bear/remember our laughter.” The poet calls attention to moments beyond urban experience in each stanza, as when beaver coming ashore to feed at night. She then grounds each stanza with a tercet that opens the moment to the reader: the strength/of trout lilies and black flies/purple iris on my path. This chapbook is an unrelenting account of loss, a litany, as well as a testament to the earth’s resilience. We find a willingness to feel an encompassing embrace amidst raging wild fires, a careful witness in a barrio of brown people, among trailers the land can’t support. Generations pass and the earth receives an elder like an old friend. The cover is an evocative photograph by Teresa Candelaria. We see a raven flying, its glistening black feathers muted in a desert landscape, the strength and pull of flight, the curl of one claw. Robidoux has also published fiction, Sweetgrass Burning: Stories from the Rez and The Legacy of Lucy Little Bear, a novella, and has earned a Master of Fine Arts from the Institute of American Indian Arts in 2017. In “Abiquiu,” she writes “the river knows me by my breath.” In “World As We Knew It Is Broken,” she walks and listens to tall trees and her “sparrow fingers collect their seeds.” With this new collection, Robidoux calls us to a similar attention, to our own rituals, to our own path. 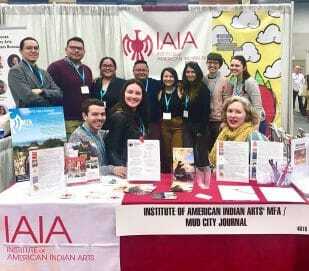 The Institute of American Indian Arts’ (IAIA) MFA in Creative Writing is a two-year, low residency program that welcomes and celebrates diversity while emphasizing the importance of Native writers giving voice to the Native experience. Our program is unique among low-residency MFA programs in Creative Writing, as we maintain a strong base in IAIA’s mission “to empower creativity and leadership in Native arts and cultures through higher education, lifelong learning, and outreach.” The program and the literature we read carries a distinct Native American and First Nations emphasis. The majority of our faculty are established Native American or First Nations authors. The program offers one-on-one mentorships with faculty who specialize in multiple genres, including screenwriting, poetry, creative non-fiction, and fiction. Students gather twice a year on the IAIA campus in Santa Fe, NM for an intensive week of workshops, lectures, and readings with prominent Native and non-Native faculty and visiting writers. The program’s goal is to graduate strong writers with a choice of career paths, who can make a difference in their field through their writing and for the betterment of their communities.